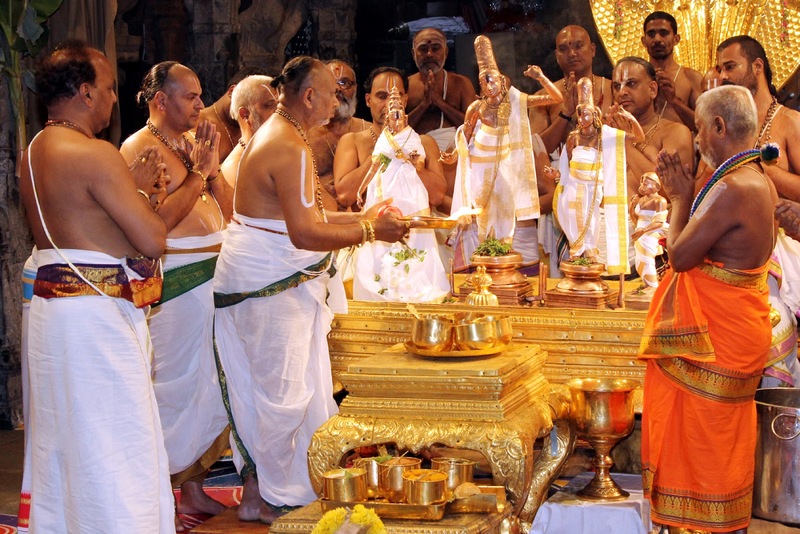 Tirumala, 14 Apr. 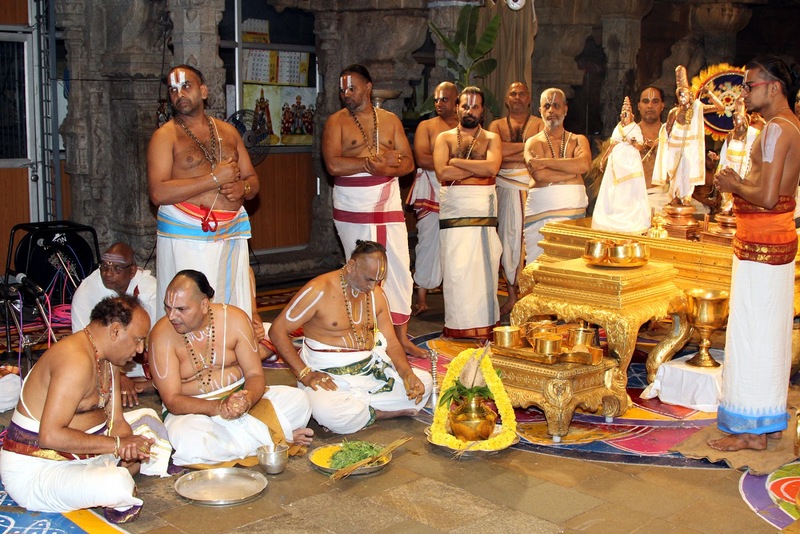 19: The TTD organized grand celebrations of Sri Rama Navami Asthanam at the Srivari temple. The rituals began with snapana thirumanjanam for the utsava idols ofSri Sitarama, Lakshmana, Hanumanta at the Ranganayakula mandapam. 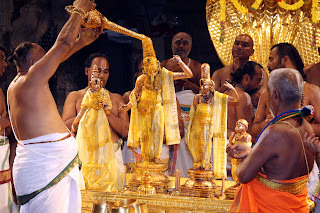 The holy environs of the Srivari temple resounded to the chanting of Tettariya Upanishad, Purushottam suktam, Sree Sutkam, Bhu suktam, Nila sutkam, pabchashanti mantras and Divya prabandham parashus by the Vedic pundits. Sri Sri Sri Pedda Jeeyar swami, Tirumala JEO Sri KS Sreenivasa Raju and temple DyEO Sri Harindranath participated. 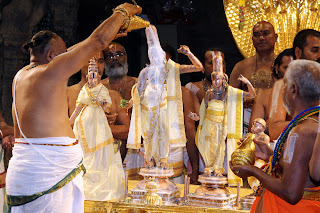 Later in the evening, Lord Rama rode on Hanumanth vahanam on the mada streets. 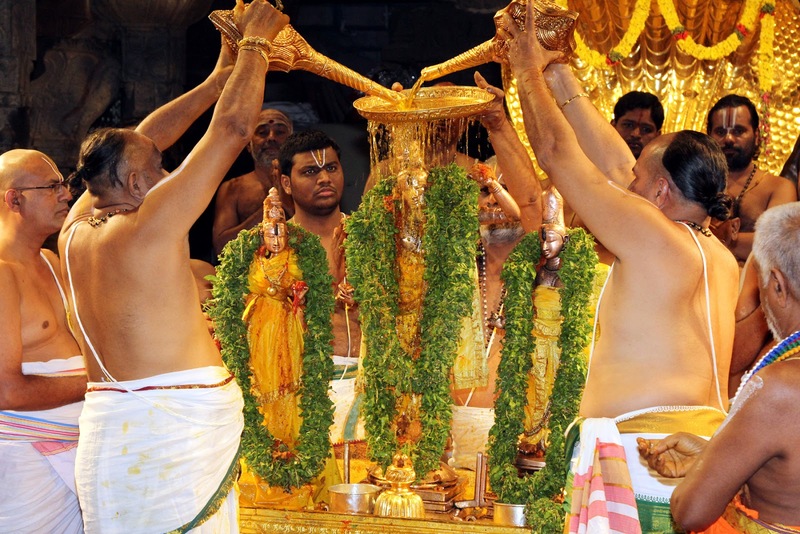 At night the holy and very colorful event of Sri Rama Navami Asthanam was conducted at the Bangaru vakili in the Srivari temple.